Responding to a need for our generation, The Concise Code of Jewish Law is a modern and up-to-date work of halachah lema’aseh, presented in a concise and user-friendly format. The main text is an adaptation of classic sources of halachah, loosely following the order of the Kitzur Shulchan Aruch, supplemented by notes which explore issues in greater depth and address a wide variety of contemporary applications. 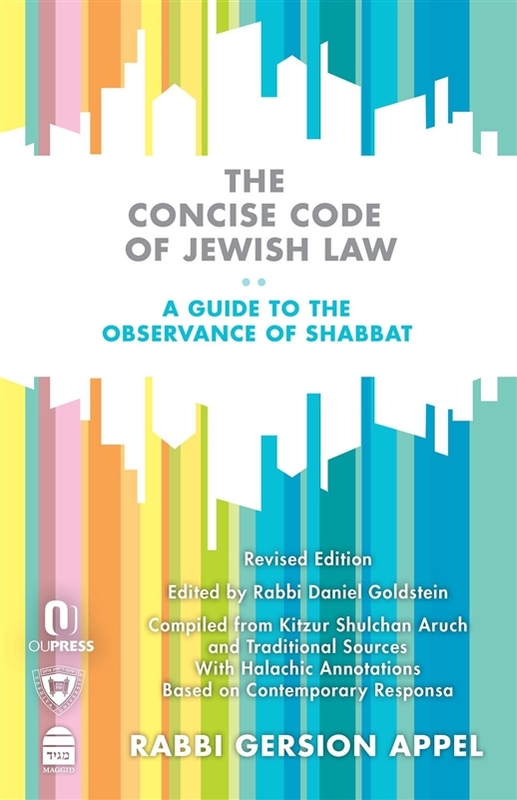 This volume on the laws of Shabbat is part of a projected four-volume series covering all areas of practical halachah. First published a generation ago by Rabbi Gersion Appel, this edition has been updated by Rabbi Daniel Goldstein, in style as well as in substance, to address new technological developments and the opinions of recent poskim. Unique among English halachic works in its breadth of sources, Concise Code includes the halachic decisions of classic works such as the Chayei Adam, Mishnah Berurah, and Aruch Hashulchan, in addition to the rulings of the greatest poskim from the recent past, such as R. Moshe Feinstein, R. Joseph B. Soloveitchik, and R. Shlomo Zalman Auerbach, and leading poskim of our own day, such as R. Nachum Rabinovitch, R. Hershel Schachter, and R. Mordechai Willig, and many more great poskim of the past and present. 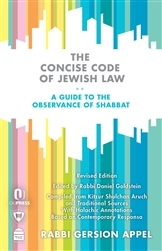 Concise Code is a perfect text for students, as well as all those interested in enhancing their observance of halachah and acquiring greater knowledge about the intricacies of practical halachah in our time.